Contact us for more information on our Tire Storage Program. Frank Motors offers safe and easy storage of your off-season tires. Never again handle heavy and dirty tires or lose valuable space in your home or garage! With our easy to use program Frank Motors clients receive first in line status for seasonal tire changes and a complete inspection, cleaning , rebalancing and treatment of your tires. 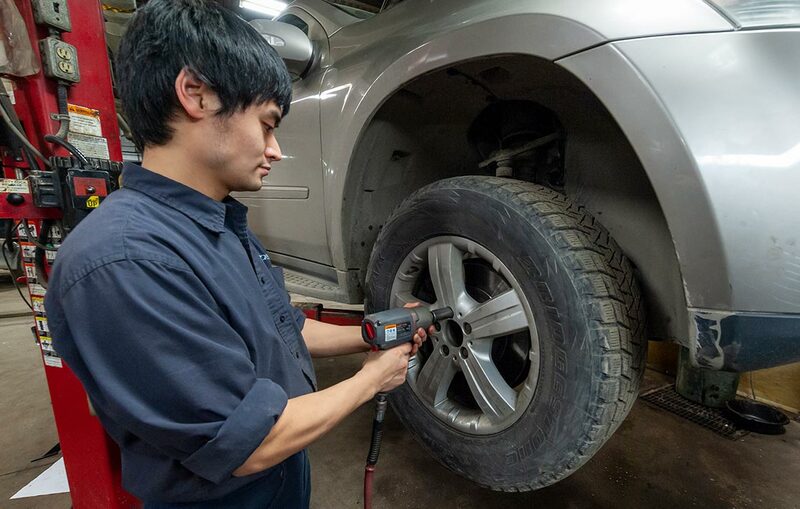 Tires are a critical component of your vehicle, which is why we offer the best in convenience, care and safety when dealing with your seasonal tires. Fully insured, secure and climate controlled warehouse facilities. Seeks a thorough understanding of the issue so as to come up with a solution that fits best.